L'Oreal Brands - Which Ones are Cruelty-Free or Sold in China? L’Oreal Brands – Which Ones are Cruelty-Free or Sold in China? No. L’Oreal is not a cruelty-free corporation as some of their brands are sold in Mainland China where animal testing is required by law for all imported cosmetics. However it should be noted that 5 of L’Oreal’s brands are PETA certified cruelty-free: Urban Decay, NYX Cosmetics, Pureology, IT Cosmetics, and Carol’s Daughter. But here’s the TRUTH, L’Oreal will make an exception if regulatory authorities demanded animal tests for safety or regulatory purposes, and they say what those exceptions are: Selling in China. So, the claim that L’Oreal “no longer tolerates any exception to this rule” is complete BS. Don’t believe L’Oreal products are sold in China where animal testing is required by law? Although L’Oreal is not conducting the animal tests themselves, but they are having others do it for them, and in this case, the Chinese health authorities are testing their products and ingredients on animals. Therefore, I would not consider L’Oreal or any of their brands that are sold in Mainland China to be cruelty-free. 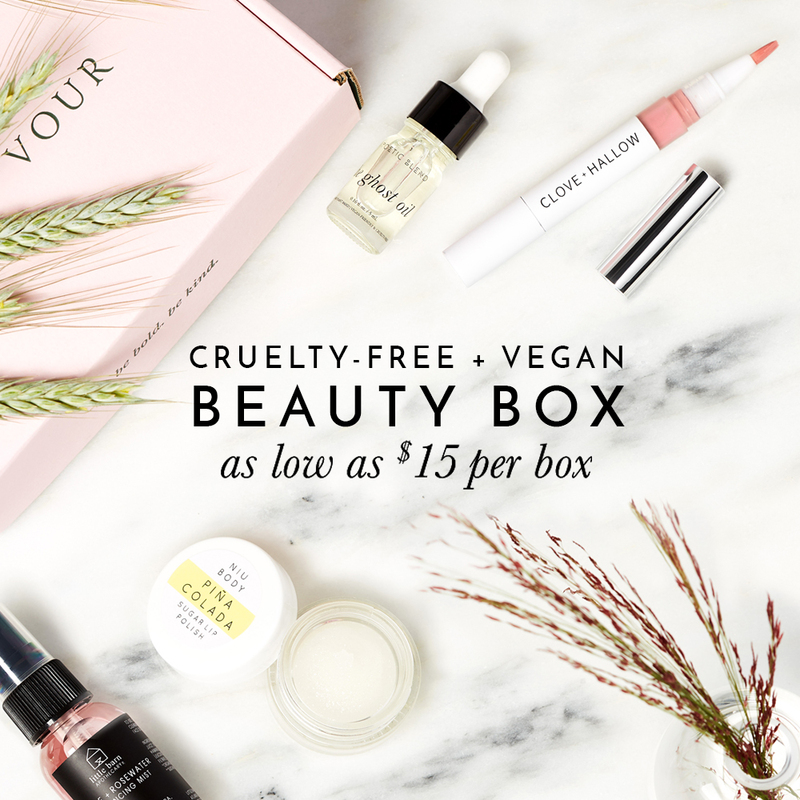 It should be noted that throughout the years, L’Oreal has acquired 5 cruelty-free brands: It Cosmetics, NYX, Urban Decay, Pureology, and Carol’s Daughter. These 5 brands are not sold in China and are not required to be tested on animals. These 5 brands are in fact, certified cruelty-free by PETA. When a corporation, as large as L’Oreal, has over 50+ brands in its portfolio, it’s sometimes hard to tell which brands are selling in China, are certified cruelty-free, or brands that naturally inherit their parent company’s animal testing policy. It would be helpful if there was a link with each product that we could send the company a message. I just found my face cream on the list. I read somewhere that product that manufactured in china doesn’t require animal testing, is it right? Thank you for this wonderful information. I thought vegan products were not being tested on animals. Obviously I was wrong. Please continue this good work. If people saw pictures of what rabbits, cats, dogs were going through, they wouldn’t be buying from companies that allow such horrific acts. It’s reprehensible and needs to stop. China should be boycotted for its lack of animal welfare laws and its insistance on animal testing. L’Oreal do not need to sell in China. Greed is NOT good. It has long been proved that animal testing is irrelevant, unneccessary and immoral. There is no place for it in the 21st century. Absolutely Correct. It is immoral and indecent to harm animals of any kind. These companies should be closed for food if they continue to test in animals. Boycott their products and only use those companies that do not do vicious and cruel things. This country and all others need to Stop! sending their products to China. Enough us Enough!!!!!! I will not buy and products that I know aren’t cruelty free. I see no purpose in testing on animals. How said in this day of technology that can’t come up with a better alternative. The problem being I thing is that not enough information getting out into the public. I pray for the lives of all thevaninals being used as experiments. For people who are trying to use cruelty free/vegan products, companies have a responsibility to everyone to be truthful about their animal testing policies and individual ingredient policies. L’Oreal must inform the public if it sells products in China. Until China changes its laws, “cruelty-free” should not be in the vocabulary of any company that sells products in that country. That includes L’Oreal. I used Skinceuticals Vitamin C Serum once, not knowing about the product being animal- tested. I loved the product but will never use it again knowing what I know now. As far as I see it if a company tests on animals for ANY of its own companies then it is responsible for testing on animals,period. I would NOT buy anything from l’oreal until all their companies stop testing…no excuses.